The writing process is underway for Season 7, which will air in early 2018, and "one of the questions we've been asking in the story room is, what responsibility does a show like 'Homeland' have to comment on what we see happening in the world?" 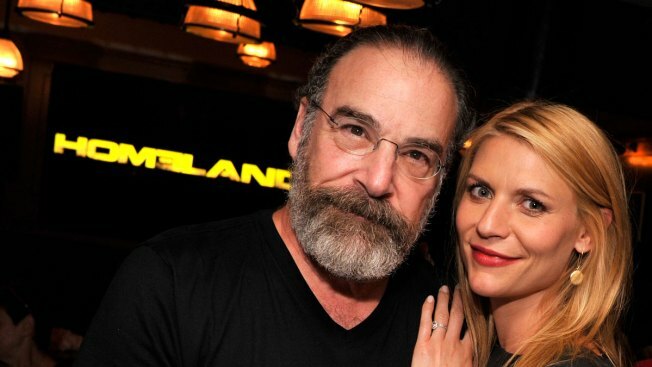 "Homeland" (Showtime; premiered October 2011) gives its audience a disturbing look at terrorism's global threat as it roams the world with Carrie Mathison (star Claire Danes), who at the series' start was a dogged CIA officer and still keeps her hand in the spy game. Alex Gansa, an executive producer and co-creator, means for "Homeland" to be "a thoughtful and serious-minded show about keeping America safe." The writing process is underway for Season 7, which will air in early 2018, and "one of the questions we've been asking in the story room is, what responsibility does a show like 'Homeland' have to comment on what we see happening in the world?" The challenge ahead (in Gansa's words): "As we get deeper and deeper into this (Donald Trump) administration, we feel more and more of a responsibility to comment on it." "House of Cards" (Netflix; premiered February 2013) is led by Frank Underwood, who has displayed his mastery of Machiavellian politics as House majority whip, vice president and then the nation's chief executive. As played by Kevin Spacey, he seems able and willing to do anything for power. The challenge ahead for "House of Cards": how to co-exist with the blend of news and entertainment that helped usher in the Trump presidency, according to showrunner Frank Pugliese. With cable news, in particular, "it's almost like they've become writers rooms themselves. They talk about politics like it's a TV show. So in a strange way, the biggest competition for us isn't other TV shows, it's competing with 24-hour news and how they talk about the presidency." "Madam Secretary" (CBS; premiered September 2014) is a drama that has always focused on doing the right thing as exemplified by can-do Secretary of State Elizabeth McCord (series star Tea Leoni). While the action comes complete with disputes and clashes (within the administration of President Conrad Dalton as well as globally), the series concentrates on how the sausage of diplomacy is made while demonstrating how reasonable people can make it not just tasty but even nutritious. The challenge ahead for "Madam Secretary": how to stick to this lofty ideal without seeming to be lost in fantasy. "Veep" (HBO; premiered April 2012) is riding high with Selina Meyer's pratfall-prone post-presidency. As showrunner David Mandel notes, her exile from power provides a handy arm's-length view of Washington's political imbroglios — and a fresh way for the show to harvest laughs. But he draws a distinction between his make-believe ex-president (played by Julia Louis-Dreyfus) and the real-life White House occupant. Meyer, for all her glorious missteps, is a seasoned politician. She remains so even now, as a hilariously frustrated outsider. The challenge ahead for "Veep": how to keep Selina Meyer, as a seasoned laughingstock, from being upstaged by current Beltway power brokers.